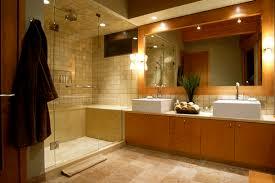 Our bathroom renovations team at plumbers in Dublin are known for quality workmanship at competitive prices. We have been renovating and designing bathrooms for over 40 years now with outstanding results. Our skilled team will take on all types of bathroom renovations from small to large. So whether you need a new toilet or wash basin fitted to a shower or wet room it's not a problem. Our staff are skilled tilers and floor layers also so you can count on them for perfect results every time. When you come to Plumbers in Dublin with your ideas, we're happy to help. We will go through the pros and cons, the prices of different styles of things you require to assist you in your choices. When it comes to bathroom renovations we know the suppliers that do the best prices. Most importantly, we also know all of the new products that have come on to the market place in the last year and can advise accordingly. If you're concerned about whether we can undertake all of the work required, don't be. As all of our team are R.G.I. registered, we can work on gas powered items that are sometimes used in bathrooms. Our company is also fully insured to the value of €13 million for public and professional indemnity. We always want to ensure that our clients know that they are in the safest and most knowledgeable hands. A full bathroom refurbishment can't happen overnight, it need a lot of thought and planning. We would be very happy to visit you home/premises at a convenient time sit down and go through your ideas, offer some expert tips and provide a free quote without obligation for the work you require. For more information and to hear some happy experiences from previous clients about our bathroom renovations call plumbers in Dublin today on 01-2603222.